To understand how payroll taxes work, it’s important to make a distinction between income tax and Federal Insurance Contributions Act (FICA) deductions, and between statutory and voluntary payroll deductions. What are statutory payroll tax deductions? According to federal income tax laws, employers must withhold payroll taxes from all employee compensation packages. This includes federal and state income taxes, mandatory FICA contributions, and various local taxes and insurance deductions. While not actually a form of payroll taxation, payroll accounting services can also deduct money for court-ordered deductions. All employers in the United States are required to withhold the federal income tax that an employee is expected to owe based on their current salaries or wages. The amount withheld is unlikely to equate to the amount owed exactly, with the amount withheld reported on the employer’s balance sheet as a current liability. In most states, payroll accounting also withholds a state income tax based on current salaries or wages. In addition to income taxes, employers are obliged to withhold three separate taxes from all wages paid to employees according to FICA law: Social Security taxes, standard Medicare taxes, and additional Medicare taxes for high-income earners. 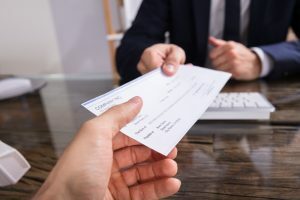 Along with these three direct deductions, the law also requires employers to pay for their own portion of the Social Security and Medicare taxes. Various state taxes and local taxes may also be relevant as a part of statutory payroll deductions. Depending on the state and local jurisdiction in question, local taxes may include school taxes, unemployment insurance, state disability taxes, and local city and county taxes. These contributions can vary considerably between locations. What are voluntary payroll tax deductions? Statutory tax deductions represent all required contributions from an employee’s wages, with several voluntary tax deductions also likely to be applied. While these contributions can only be withheld if the employee agrees to the deduction, this agreement is often a prerequisite for employment. Examples of voluntary payroll deductions include health insurance premiums, life insurance premiums, union dues, charitable contributions, stock purchase plans, job-related expenses, and retirement plan contributions. Imagine someone (let’s pretend it’s you) working full-time at $10/hour. At 40 hours per week, you’re making $800 every two weeks. That adds up to $20,000 per year if you take two weeks of unpaid vacation. So why do your paychecks look smaller than this? What gets deducted–and why? Statutory payroll tax deductions are based on federal law, which makes them easy to estimate and budget for based on your income and state of residence. In 2019 you will owe $2206 in federal income tax, leading to an $88.24 deduction of the $800 paycheck you get every two weeks. You are now making $711.76. Each state administers state income taxes, but some states don’t have an income tax. Texas, where I live, is one of these happier states. Other states, like California and New York, can have rates as high as 13%. Most states have a progressive income tax system, which means the more you make, the more you have to pay in taxes. The Medicare portion of FICA is 1.45% of the $800, which works out to be $11.60. Keep in mind that your employer has to match this amount. If you’re receiving a gross paycheck of $800, you’re actually costing your employer $811.60 every two weeks. Also, there is a Medicare surtax of 0.9% which is withheld from all wages and salaries over certain amounts. Just like FICA for Medicare, FICA for Social Security is paid once by you, and once by your employer to make 12.4% in total. So far, your FICA contribution will cost you $49.60, with your employer’s contribution now $861.20, including the Medicare payment. Local contributions vary considerably between locations, with many of these deductions not found on your paycheck but still costing you and your employer money. For example, unemployment insurance is typically about .6% of your paycheck. The Federal Unemployment Tax Act (FUTA) is another example, with this payroll tax paid by employers on employee wages. This tax alone can cost your employer $4.80. At this point, you’re costing your employer $866 every two weeks. In contrast, you are only receiving $650.56, which makes for a ratio of a little over 75%. So, a quarter of the money that your employer spends on you is already gone before you see it. Voluntary deductions vary considerably between states, industries, and individuals, which makes it difficult to provide accurate costs based on current tax rates and obligations. In some states and companies, health insurance has become incredibly confusing and out of control. While your employer may be paying all of your healthcare insurance, this situation has become a rarity. It’s much more likely that they’ll pay for your personal insurance but not your family’s, or make a percentage contribution to the entire bill. Regardless of how much your employer covers, health insurance continues to rise every year. Some companies will match your 401k dollar for dollar. At Journyx, we match up to 4% of your salary. So, if you contributed 4% ($32 per pay period), we would match that, giving you an $800 annual raise (subject to vesting schedules and other things.) 401Ks are awesome because you can borrow against them and they also accumulate tax free as the market rises (if it does). HSAs allow you to pay for various medical services which insurance won’t cover. If you don’t use your HSA, it hangs around and can accumulate just like a 401k. FSAs are just like HSAs, only this time the money goes away at the end of the year if you don’t use it all. You can use FSAs for copays and deductibles or for things like LASIK which nobody covers. Your employer may also deduct money for items such as work uniforms, parking fees, lunchroom access, and other items which can bring down your income. While the government regards these expenses as “voluntary” payroll deductions, you may need to agree to these deductions as part of your employment contract. To know what’s happening with your pay, you need to understand the responsibilities and obligations of all parties. Employers and employees have different roles to play, with employers obliged to make statutory payroll deductions such as income taxes and FICA contributions and employees making voluntary deductions such as 401(k) plans and individual insurance plans. While voluntary payroll deductions are still withheld from your payroll check, the amount withheld is based on the details of your employment contract rather than mandatory taxation laws.